Good job Roddie, well earned. Thanks for the new screen saver! Admin wrote: Congratulations to Roddie! What is it Roddie? A 191? Something you built? Wow! Thanks so much guys!! I enjoy photography almost (I said almost... ) as much as building models. 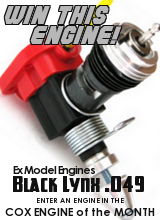 The engine is from my Rare Bear CEF Reed Speed model. 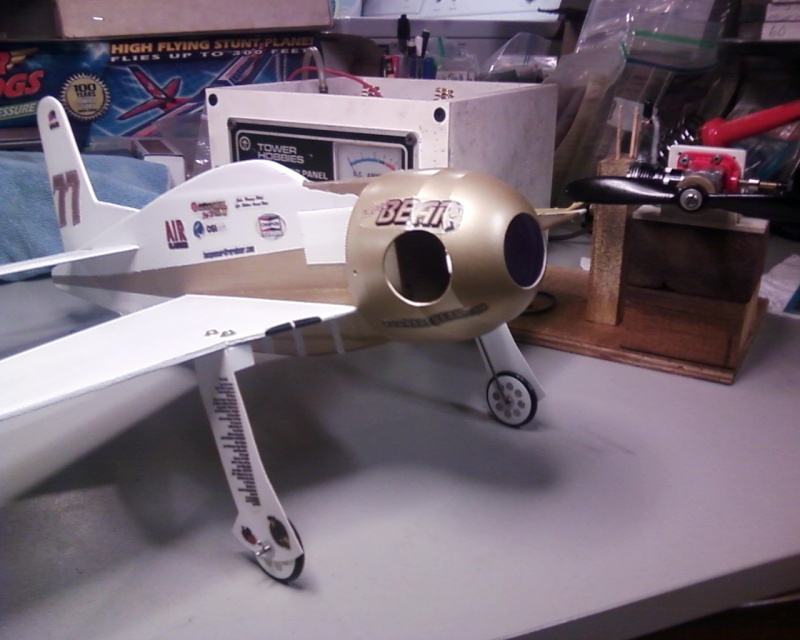 I built it from a new crankcase I had bought almost 3 years ago from "Mini Glow Planes". 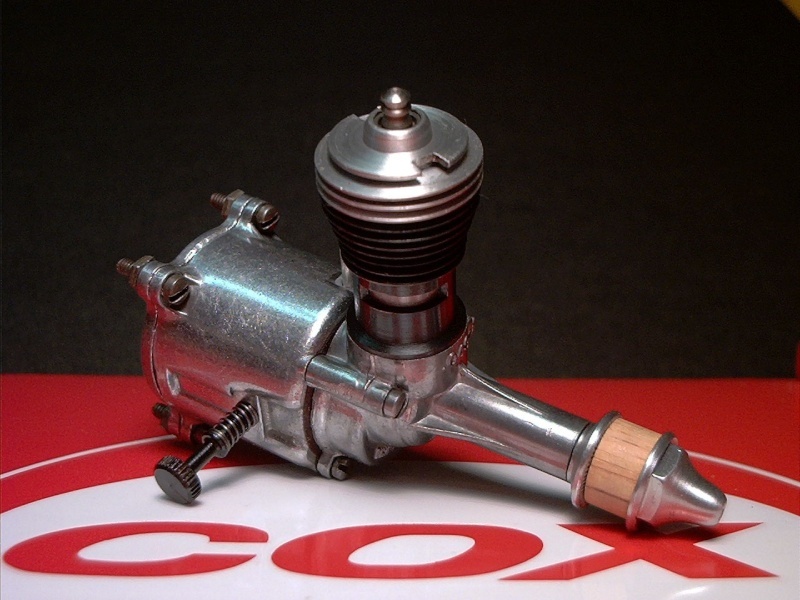 I needed a "top-end" and a "rear-end"... so I ordered a Tee Dee cylinder/piston and the red "Killer Bee" high-flow back-plate and needle from Cox International. The head is a standard type. Although the engine has run a few times.. there is something amiss. 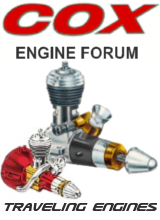 I've never really been an "engine-guy".. but since being a member here at CEF.. I've been learning a lot about how to get better performance from all of you great people. The first time I ran it on the bench.. it was hard to start.. and hard to keep running once it did start. 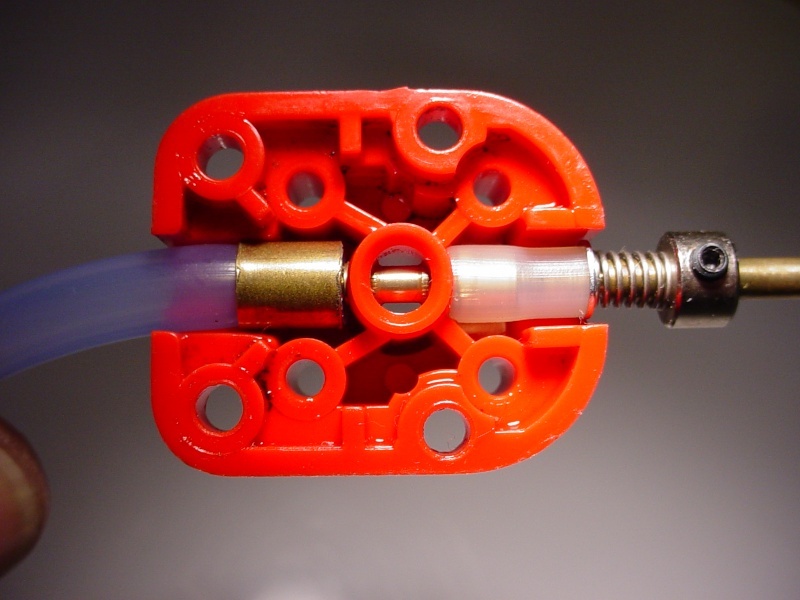 I was using a uni-flow hard-tank I'd built; plumbed with 1/8" copper tubes.. with small size silicone fuel tubing to the engine. 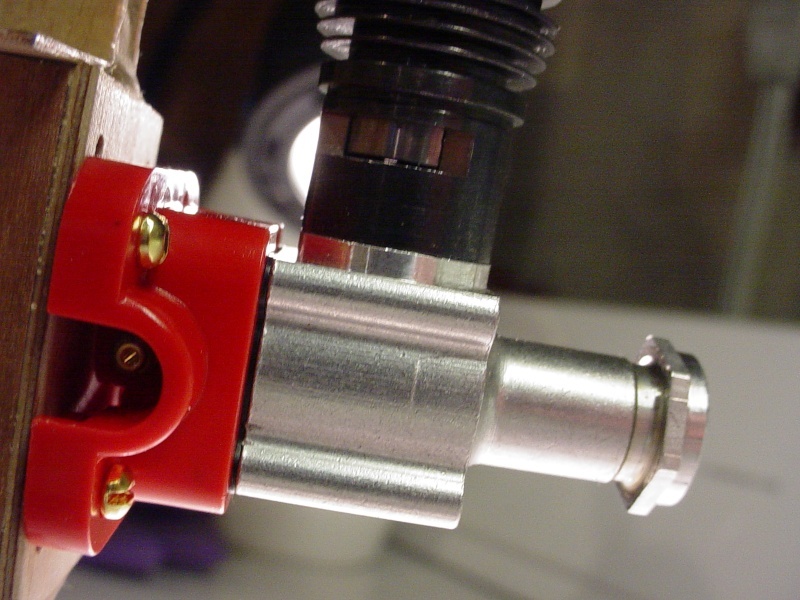 This turned out to be too restrictive for a suction-only fuel feed. I had to solve the problem quick.. because the contest deadline had already been extended. I theorized that switching to a large-size fuel line might lessen the resistance to flow with the reduced vacuum I was dealing with.. I'm guessing; because of that large venturi in the back-plate. The challenge was fitting the larger line on the small barb on the NVA. A compression-sleeve did the trick.. and the engine roared to life! The power was more than anything I'd ever experienced from a reedy! Here's a photo of how I did the fuel line.. I know that most of you have seen the above pics before.. but for the benefit of new members.. it's an easy thing to do.. that just might make a difference in getting your engine to draw fuel better from a tank. 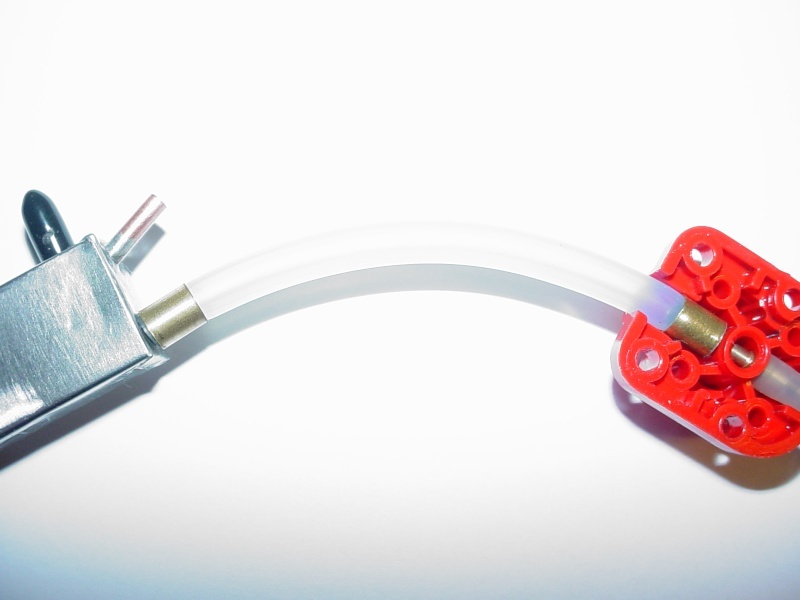 The fuel line shown is a size for large engines. The compression-sleeves are merely 1/4" OD alloy-tubing pieces, cut to approx. 1/4" long. I twisted the ends of the fuel tubing into the sleeves.. which reduces the inner diameter of the fuel line small enough to fit tightly on the small size fitting on the NVA. Here's a couple more close-up shots of the engine.. Most digital cameras have a setting for shooting close-ups (Macro). 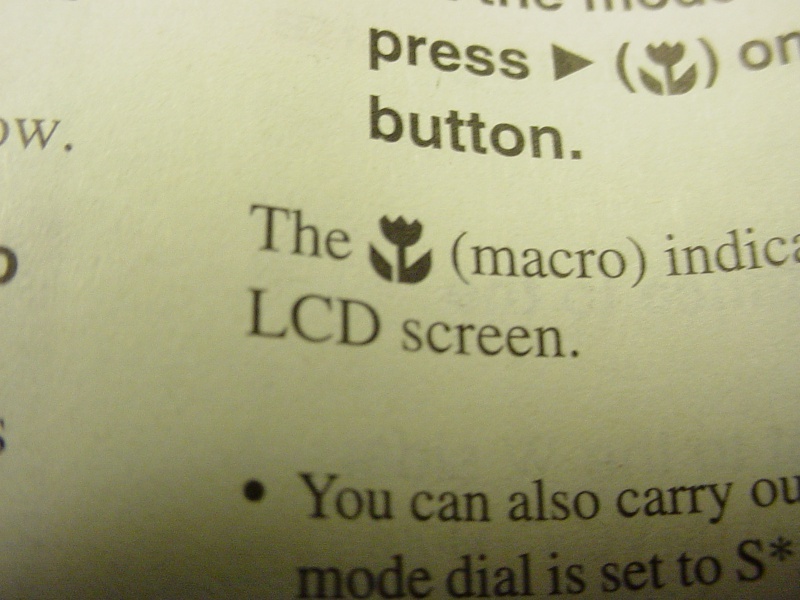 Look for a "flower-shaped" icon in your menu. Use this setting.. and you'll be very surprised at how much better your close-ups will be! I will retry next month although am not too much motivated.. Thanks, Roddie! I'll get the picture up soon. Thanks Andy! That was a CLOSE one. I really owe it to "1/2A NUT". 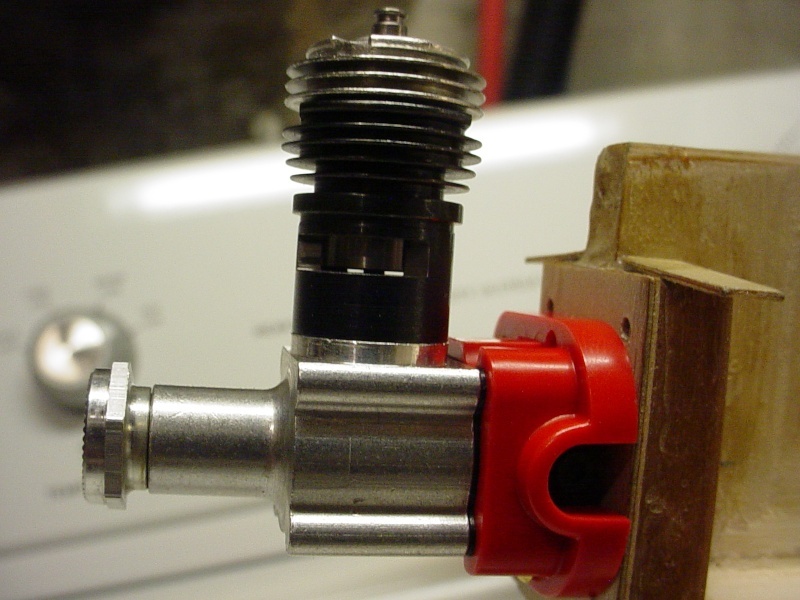 If you look back on the submission thread.. he gave me some "ribbing" for my first posting a pic of the Rare Bear with the engine "cowled-in" to which he commented; "Nice glow-plug pic".. He was right.. it "was" a nice glow-plug pic... but this is an engine contest.. and although it was evident that there was a Cox engine in the model.. it wasn't really visible.. (as compared to Crankbndr's Cox Super Chipmunk) so I posted the 2nd pic.. to try to redeem myself.. and never expected it to be chosen... and thought I might have entered too late anyway. I kind of slid-in under the wire. BTW Jacob... what is a "191"??? EDIT: I found it on Martin Hepperle's page.. 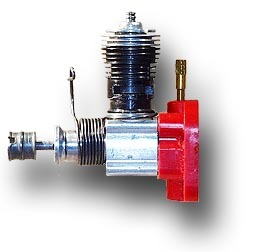 It does look similar.. other than the stepped cylinder. Congratulations Roddie - this month had probably the most well prepared and executed entries in the competition so far. There has been a leap in quality and the number of votes. All entries were superbly done. Well done all! Heartily agree with all the above! 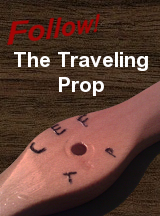 STILL wish more members would be inspired to vote in this cool little contest! We've got better than 16 hundred members, and it only takes a minute or so to check out the more-and-more artful entries...and to punch in a vote for your favorite! Please consider giving it a shot on the next lap! I love to show off this photo, I think its one of my best. I took it about 12-15 years ago with my first digital camera, I think it was a 3.0 pixel? The point being you don't need real elaborate equipment as the typical phone camera today has probably a better lens. Mark, that is a very nice photo, the lighting, position of the engine, focus all spot on. 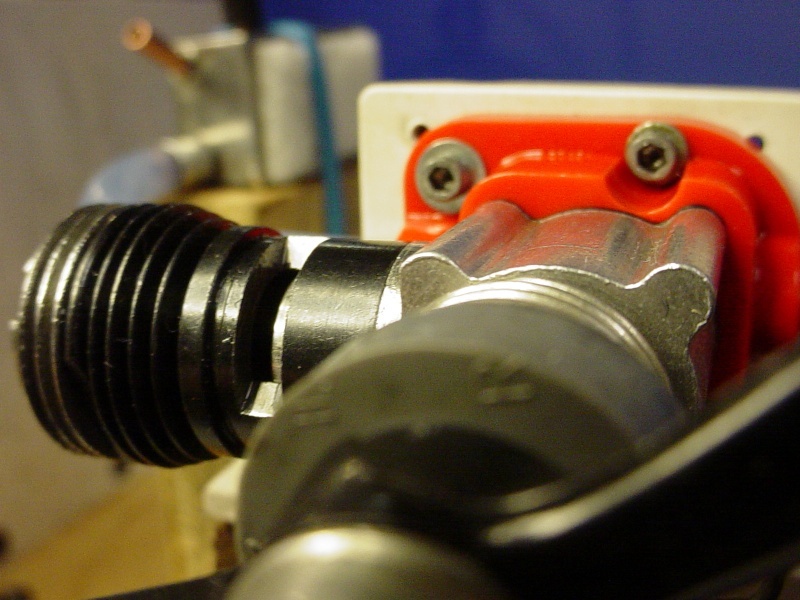 I like the little piece of wood between the drive plate and spinner, I'll do that for my display engines too one of these days. ian1954 wrote: Congratulations Roddie - this month had probably the most well prepared and executed entries in the competition so far. There has been a leap in quality and the number of votes. Mark Boesen wrote: I love to show off this photo, I think its one of my best. I took it about 12-15 years ago with my first digital camera, I think it was a 3.0 pixel? Yes that's a real nice shot. 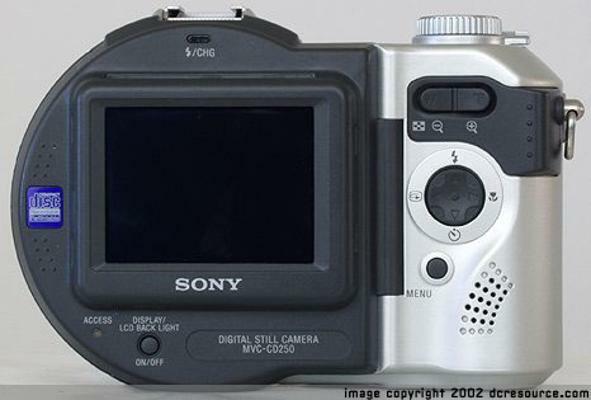 The camera I use is a dinosaur 2.0 mega-pixel Sony Mavica CD250. Media is a mini-CD-R 193MB disc. I typically shoot with the highest resolution (1600 x 1200). 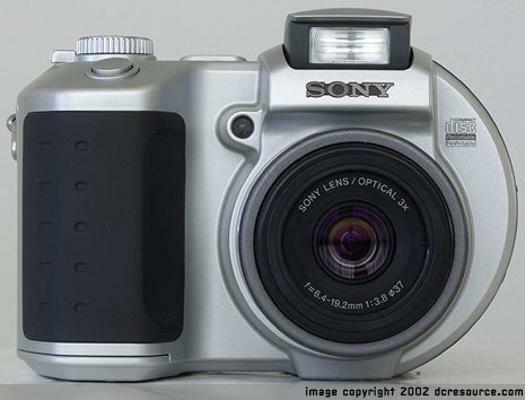 The camera is powered by an "Info-Lithium" battery. Both the battery and charger died a few years ago.. and I found replacements on the cheap online.. as well as a 100/pk. of Mini CD-R's. You won't find those discs in retail outlets.. they were even hard to find when I bought the camera. Sony-Store "Mavica" discs were ridiculously expensive. The latest phone-cams are amazing.. for sure. The image-stabilization technology is really what amazes me in today's cameras. With some non-regular names expressing interest in entering and missing the cut, as much as I enjoy participating, I'm happy to stand down for a while to make room. 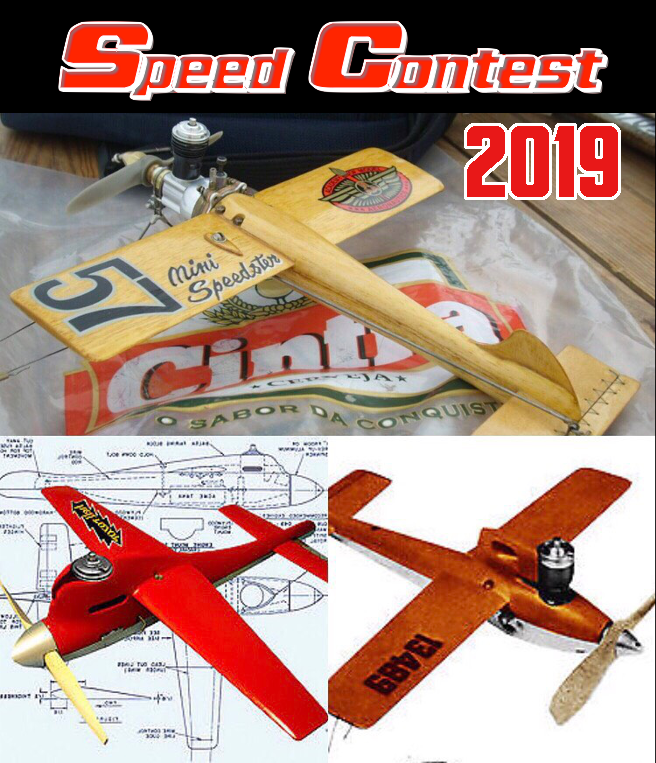 My advice is have your entry ready by the end of the month so as soon as the competition is listed, post it and you're in. This last one filled up real quick. KariFS wrote: Congrats to the winner! Did you only get one vote? That would be me, good moonshot! I used to want one of those too. For closeup shooting of engines and builds, 2MP should be plenty for good quality close shots. RknRusty wrote: Did you only get one vote? That would be me, good moonshot!